LOCATION, LOCATION, LOCATION built in 2017 by Ryan Homes, Estero Bay. 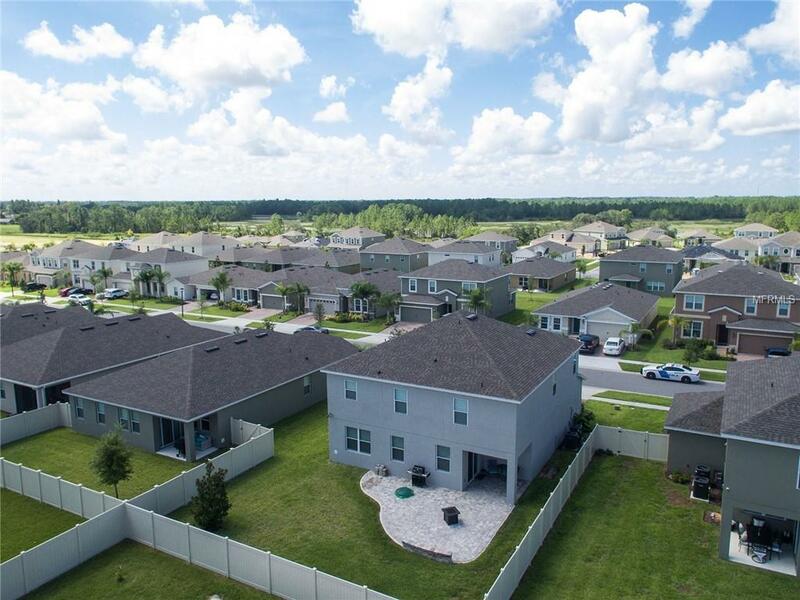 This 4 bed, 2.5 bath 3 car tandem garage w/ Chamberlain opener. Once you have arrived a brick paver driveway leads to a covered front porch. 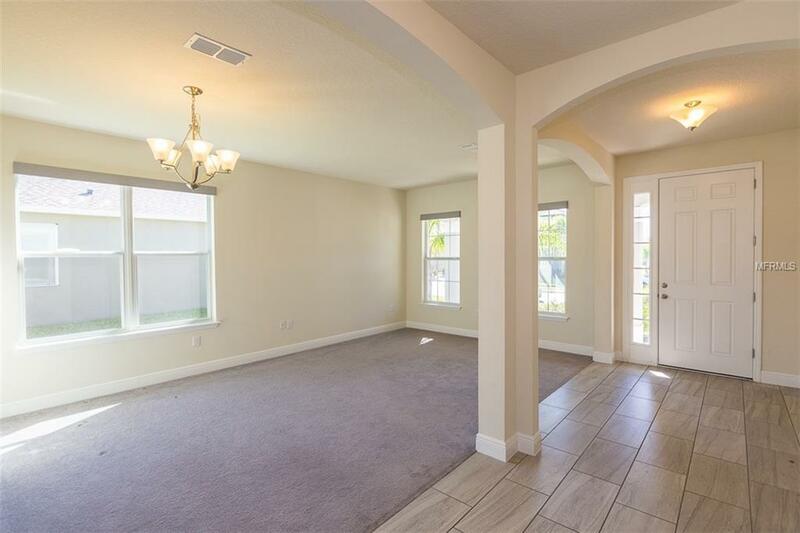 Entering your new home you will find a formal living & dining room. Continue on to kitchen where you will find Samsung stainless steel appliances & granite countertops & the biggest island you have ever seen. Plenty of eat in space for a long dinner table & barstools at the island. Open to the living room, the sliding glass door that includes a motorized Norman roller shade for privacy, leading to the large brick paver patio w/ built in seating. The entire house is outfitted w/ cordless shades, upstairs blackouts, downstairs light filtering. A half bath w/ pedestal sink will complete downstairs. Upstairs is completely carpeted with upgraded padding. Six matching ceiling fans with lighting throughout the house wired to switch and remote. At the top of the stairs you will find a large bonus room w/ 4 windows. Down the hall there are 3 bedrooms. A full bathroom services the 3 bedrooms, has dual sinks and tub w/ shower. French doors lead to the master suite with 2 walk in closets, double vanity, garden tub, walk in shower and a toilet room. 5 inch baseboards throughout the entire house. 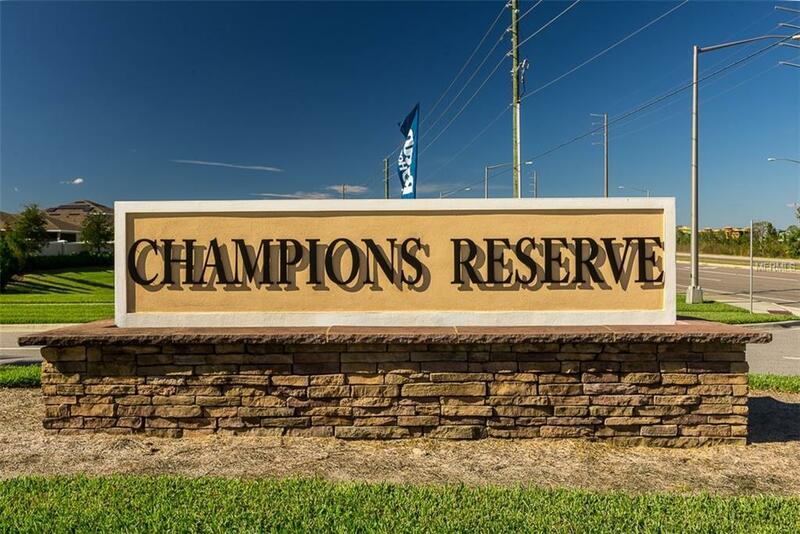 Champions Reserve is a residential only (NO VACATION RENTALS) community featuring a zero entry pool, tot lot and grills. Located on Ronald Reagan Pkwy, so easy access to downtown Champions Gate. Come see this gem today! Additional Lease Restrictions Please Review Community Convenants in The Attachments.